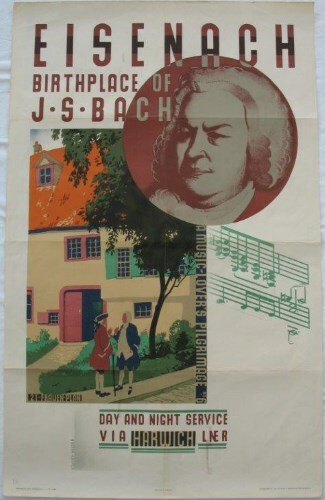 Lot 133 D/R Poster 1930s LNER "Eisenach - Birthplace of J.S.Bach - Day and Night Service via Harwich LNER" by Austin Cooper. A montage of Bach's head, his music and house, No 6 in a series on famous composers. Very good folded condition.